Vibrant Synagogue - Chabad Lubavitch Center - Texas Regional Hdqrtrs. 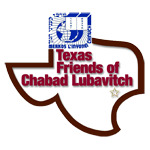 Fact: Chabad-Lubavitch comprises 23.1% of the Orthodox synagogues in the United States. Sundown: Mincha, Maariv Afternoon and Evening Services. 10:00 AM - 1:00 PM: Shacharit Morning Services followed by Kiddush.